Herbalife Programmes use the science of cellular nutrition, meal replacement and the power of protein to get results. All programmes are personalised to the individual and will allow you to gradually change your eating habits which ultimately means that you can maintain your results long term. What's A Healthy Breakfast To Lose Weight? How To Maintain A Healthy Metabolism? Pro 20 Select is a delicious water mixable, high protein shake that is low in sugar and provides your body with key nutrients it needs. Each serving contains 20 g of protein, 6 g of fibre, and delivers a third of your daily recommended intake of 25 vitamins and minerals. Don't skip your protein shake after you exercise and think that you'll save calories! A protein shake after training accelerates lean muscle growth, which in turn revs your metabolism and burns more fat. Protein Drink Mix (PDM) A new addition to the Herbalife range in Europe. PDM can be prepared as a tasty, calorie controlled high protein snack, or add it to your favourite shake, for an indulgent, rich, creamy drink. Make your Formula 1 Shake using water instead of milk. So that's fewer trips to the shops and no refrigeration required at work! One comment" I really like / borderline love this stuff, its helped me lose weight and it tastes great!" Get a personalised programme from Herbal Vitality based on your height and weight and activity level. That includes your recommended daily protein intake and calorie recommendation based on your resting and active metabolic rates. The Future of Skin Care - Reaches the UK! Our clinically tested products** help you achieve maximum results in just seven days, including: Softer, smoother, more radiant skin, Diminished appearance of fine lines and wrinkles, Paraben-free, Dermatologist tested. Burn Fat Instead Of Carbs! New 24 Fit Workout - Any age, any condition, anyone can build a better body with Herbalife 24 Fit. The program gradually increases in intensity so you don't workout harder you workout smarter. It addresses common vulnerabilities of the human body regardless of age or previous activity level. And trains your body to burn fat instead of carbs. A protein shake after training accelerates lean muscle growth, which in turn revs your metabolism and burns more fat. And a new addition to the Herbalife Formula 1 family is Formula 1 Free From Healthy Meal Nutritional Shake Mix. The perfect nutritional solution for those with common food allergies — because it’s free from soy, lactose and gluten. Now no one is left out of the Formula 1 shake experience! And it’s so easy to accommodate different nutritional needs. Dr.John Heiss is the director of Herbalife’s sports and fitness products for worldwide product marketing. 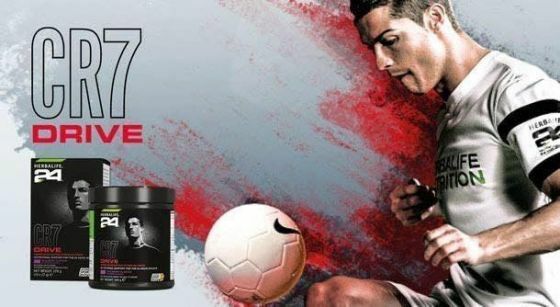 With his expertise, the company launched Herbalife24, the first phase of a new program of high-performance sports products. Before joining Herbalife, Heiss was the founder of an endurance sports nutritional company. He earned a Ph.D. from University of California, Los Angeles (UCLA) in biological chemistry, where he discovered how single proteins function within cells. The findings from his research work have been published in several peer-reviewed journals.